Proudly serving the following counties: Fairfax, Prince William, Stafford, Fredericksburg and Spotsylvania. Are you searching for the finest service and most reasonable prices from a Plumbing Contractor? Look to C&P Plumbing. In business since 1994, C&P Plumbing knows what it takes to keep your plumbing in working order. 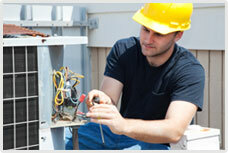 We offer a full line of services, from basic maintenance and repairs to new installations. In the event that your plumbing equipment needs servicing, you have peace of mind knowing we’re only a phone call away. We provide you emergency service and estimates. Whether you own a commercial or residential building, our goal is to provide you with key environmental systems expertise. You should be at ease and in control — a feeling of confidence and comfort that we are happy to help you establish and maintain.